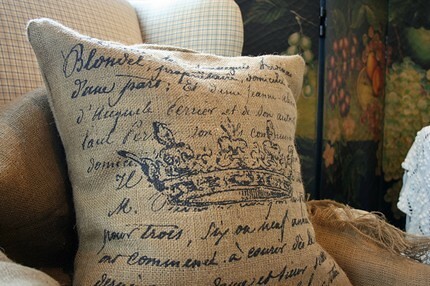 Burlap French Document Crown Pillow for $85. 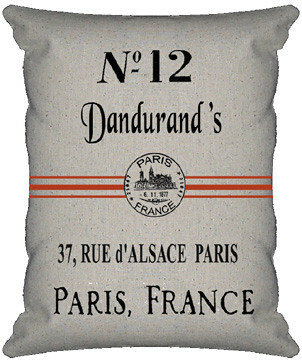 Have you noticed that almost every store has jumped on the French-inspired pillow bandwagon? And I am SO glad they have cause I really, really like these kinds of pillows. Plus, you can find them in all different price points which is just fabulous for those of us, like me, who can't afford $100+ pillows. If it helps at all, you only need one or two at most since they don't offer too much color. 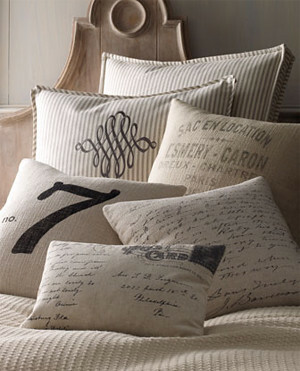 Unless you want all of your pillows to be made of burlap or grain sacks. But mix one of these pillows with some solid color pillows and it'll all balance out. It's pretty funny when you think about it. 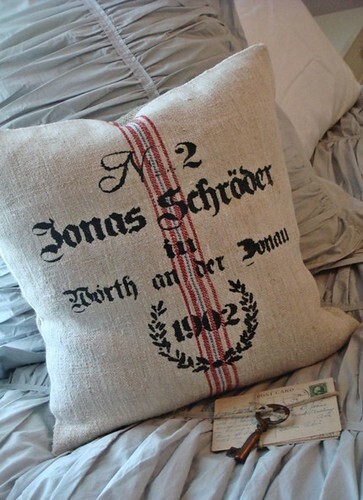 I mean, the fabrics used in these pillows are fashioned after French vintage grain sacks (and some do use real vintage grain sacks) but they are now the 'in' thing to have. What I mean to say is that what is trendy now came from modest beginnings. 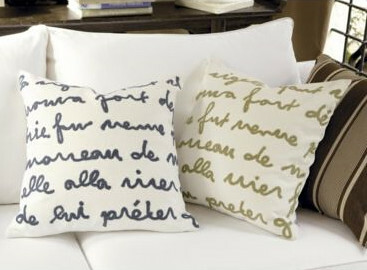 Below are some affordable French-inspired pillows and some not-so-affordable (to me at least) pillows. I'm sure one of these will catch your eye since there's a wide range in price as well as design. 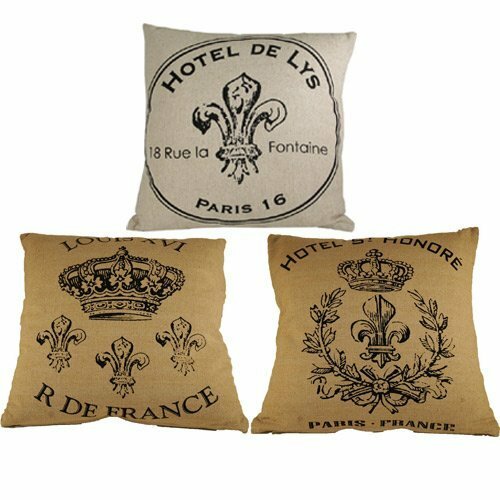 Vintage French Linen Pillow Covers from $28 - $32. 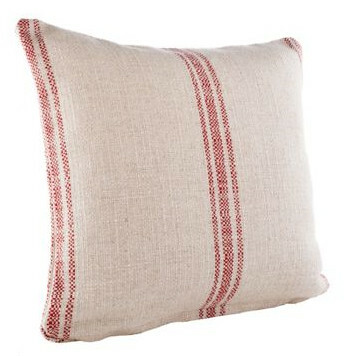 French Grain Sack Square Classic Stripe Pillow Cover for $52. 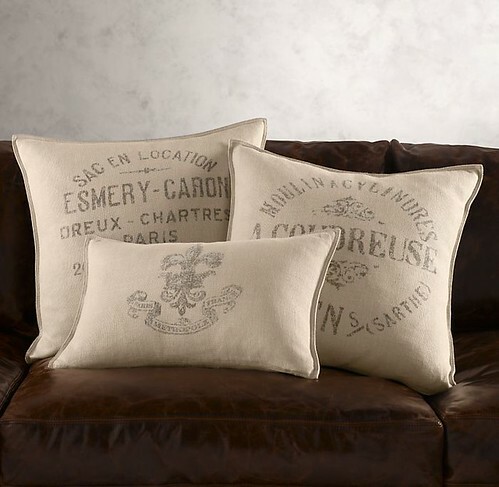 All Three French Square Pillows for $115. French Grain Sack Pillow for $12. French Laundry Pillows from $95 - $160. Le Poeme Pillow with Insert for $44. 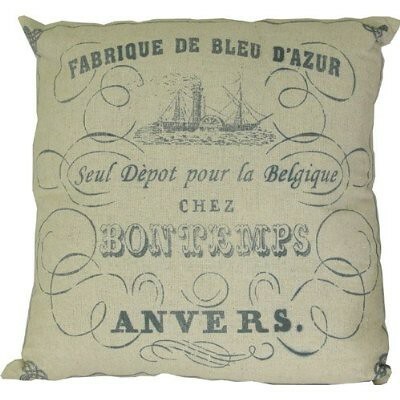 Antwerp Belgium Ephemera Printed Pillow with Insert for $22.99. Authentic Antique Grain Sack Pillow Slip for $45.